Long before I knew what it was called, I’ve been suffering with sebaceous hyperplasia. I didn’t know what those bumps were on my face. They weren’t pimples, they weren’t warts and they weren’t moles. It was only after seeing the dermatologist last year, and another failed treatment, I learned the condition is called sebaceous hyperplasia. The good news is that it’s not dangerous in any way, but having a lot of bumps on your face is frustrating, annoying and often embarrassing. The frustration gets compounded when you seek medical treatment and what is proscribed is more suitable to acne, which this is not. Sebaceous hyperplasia (SH) is inflammation and multiplication of cells inside the oil glands. The cause is unknown. You can’t get rid of it by any conventional means—squeezing, freezing with liquid nitrogen, using electrocautery, Retin-A and other exfoliants. I’ve tried it all, except for the electric needle. With squeezing, you can sometimes get something out but the bump soon returns to its original size. With liquid nitrogen, it’s hit or miss, expensive and can cause scarring. Retin-A simply doesn’t work and I believe it’s bad for the skin in the long term. Then one day I found this interesting video for the Skin Classic machine. I knew this was the answer I’d been searching for. Skin Classic uses high frequency to heat up the sebum which causes it to instantly come out of the pore. The needle doesn’t actually penetrate the skin. A series of light taps are used around the bump. That being said, this is not a cure because there is no such thing for SH. You may still have new bumps appear, but the ones you are treated for will not return. To find a practitioner, I filled out a contact form on the RNfaces website. * They referred me to the OC Spa & Wellness Center in Huntington Beach, CA. There you can either get spot treatment or full face treatment down to the cleavage area. I went for the latter since I had quite a few spots. Normally they clean the skin, then steam it, followed by microdermabrasion and last, the Skin Classic machine. I didn’t want microdermabrasion so my esthetician skipped that part. During the treatment there’s a small amount of pain involved, but it’s nothing compared to getting liquid nitrogen. Every time she zapped a spot, I thought “ow, ow” and then it was over. It only lasted about one second. After that, there was no more pain or discomfort all the way through the healing process. Besides getting rid of the SH, she also did a couple of skin tags, a cherry angioma and a dark hyperpigmented spot. Afterwards, my face was a little bit red and irritated looking. The next day scabs started to form and in the following days, they became more and more obvious. I felt like my face was covered with polka dots. I couldn’t really hide it with makeup so I opted to stay at home for the next week. There was no picking of scabs allowed and I was very careful when I touched my face. You’re supposed to return in 7 to 10 days to get any spots that might have been missed the first time. Some can get overlooked in places where the bumps are clustered together because the skin starts to get irritated and it’s hard to see what’s been done and what hasn’t. I went back after seven days but I recommend waiting ten days. Waiting longer is better because at seven days there was still some irritation and a few spots were missed. I will have to go back again one of these days for another treatment. Ten days later most of the smaller scabs had fallen off. The larger ones took another month to heal. It took about four to six weeks for my face to completely heal, with the largest spots being the longest to heal. None of the bumps that were treated returned. One deep spot on my forehead left me with a slight indentation which took several months to fill in. The skin tags and cherry angioma were also gone for good. The dark spot, however, lightened up considerably but did not completely disappear. My skin looks much better than it did a year ago. I’m very happy with the results. Finding this solution was a dream come true. I thought I was going to have to live with those awful bumps for the rest of my life. I’m still amazed by how well it worked. What I can’t understand is why dermatologists are not getting Skin Classic machines to treat SH. Perhaps they have another agenda than providing the best solution for their patients. Just a thought. For more information and to find a provider in your area, please visit RNfaces.com. Please note: I have no affiliation with Skin Classic, RNfaces or OC Spa & Wellness. I’m just a customer who’s trying to get the word out to other people suffering with sebaceous hyperplasia. Found this website after doing some research and not much detail provided by other folks. I had this done and after leaving am starting to see the scabs. Only problem is that the skin still doesn’t feel flat. Am I being impatient? I am worried that it will need additional work to get this to a place where i’d be happy. Hi Eric, if you just had this done it’s going to be a few weeks before your face starts looking better. Your face will be smooth when the scabs fall off. Make sure to let them come off on their own, anywhere from one to four weeks. Try not to touch them at all. After that there will be dark marks on the skin. Those marks are normal and will fade over time. So within a month to two months your skin will be healed. You will look worse before you look better but know that it’s only temporary. I am not near anywhere they have a Skin Classic to treat my SH, so I was doomed to have them and see them grow bigger and get more. But unexpectedly Olay came to the rescue. They recently launched a new mask that you leave on at night. It’s called Olay Overnight Miracle Mask. I was able to try it with a discount and I loved it. It makes your skin feel soft and smooth. After using it a couple of times it felt like my SH on my forehead were flatter. So I started using it as a cream on the SH and I have to say I am impressed cause every time I used it they felt smaller. Right now they are about half the size they were and you feel the sebum underneath slinking. It would be nice if this got rid them all together. Maybe this will also work for others. I regretted not to go to the place that Ms. Stephanie Holvick recommended but went out on my own while I was on vacation. I am not sure if she got any training in the U.S. She came here from the Philippines and opened a skincare spa in Anaheim, California. Her technique and her way of conduct the business is horrible. After 15 days, I told her I am not happy with the result, she blamed me for not buying $250 worth of her own products and applied on my face after treatment. Her products are in cheap plastic bottles and no label of the ingredients and they are used to treat acne not SH. The second mistake I made is not to ask for before and after pictures of her clients. If I saw the after pics, I could have walked out. The reason I posted is to inform anyone who seeks treatment should go with recommendation from RNfaces.com and ask for pictures of before and after from the clients they treat. I’m really sorry that happened Andy. Did she use a Skin Classic machine or was it something else? I know RN Faces does have a product regimen for HP aftercare which includes microneedling. I just make sure the client has a 2 week sample of gentle cleanser and home care instructions. Usually no one needs additional products as the skin heals pretty well by itself. To tell the truth, I had no idea which machine she used. I assumed she used the Skin Classic. She posted on her website the same video that Lynda posted above and advertised that she treated SH. After 10 days, I was not happy with the results and confronted her. She came up with so many reasons such as I did not heal quickly because I did not buy $250 dollars worth of her products (they are in cheap plastic bottles with no labels except the printout of her business name and she taped it on the bottles), the video I saw on her website (the same video above) is about treating milia not SH, etc. I regretted not to go with RNfaces recommendation and not asking her about the pics of before and after treatment of her clients. I am upset everyday looking at myself in the mirror. I am thinking about using a face scrub to exfoliate my skin after it completely heals in order to get rid of the dark brown spots on my face. If you google rainbow trout, the spots on my face look like that. It is that bad because I had over 100’s SH. Ok Andy – let’s trouble-shoot a little. It sounds like the esthetician you saw was using a bifurcator which is electro-cautery with very good chances of leaving pigmentation. If the machine made a noise when you were being worked on, more than likely that’s what it was. The Skin Classic makes no noise at all. If you get the chance, take a picture of them and email me at my website contact coleen@skincareolympia.com. There may be some things you can do at home naturally and I think you would probably be more comfortable not sharing your pics with everyone. I’d be more than happy to help with whatever I can. What done is done. By sharing my pics, I can’t undo what she did to my face. Hopefully with time, my face will heal. Thank you for your offer. Most of the time it works well for broken capillaries. I would suggest finding a SC tech in your area (let me know where you live and I’ll check with Stephanie for a referral) and have them do a few perimeter spots on your face to see how you heal before doing the center. It’s hard to get an idea without having a visual. You can email me a pic if you’d like at abfascllc@gmail.com. I had Skin Classic treatment about 1 month ago and I still have a few bumps that did not go away. Do I need a 2nd treatment? Dr. did get the bumps the first time, but they are still there. Hi Laura, when there are a lot of bumps it’s easy to miss some because the skin starts to get irritated during treatment and you can’t necessarily see every one. In my case the bumps seem to cluster together and some were missed. The ones that are treated do not come back in the same spot. The bumps that are left would need another treatment, unfortunately. Hopefully you’re still pleased with the result even though it was not 100%. Unfortunately, I had to travel over 2.5 hours to get to the location to have the Skin Classic treatment. I’m thinking of just going to the dermatologist and having the remaining (many) zapped with the electric needle….I had this done 2 years ago, but they did come back. 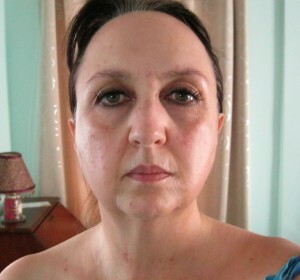 I do love the results….I wore makeup on day 2 of the treatment. It didn’t cover the bumps, but helped with the redness. Actually, the dr. put numbing cream on my face for 1 hour before she started to zap as I had a lot of them. I didn’t feel a thing! I am going for a consultation tomorrow for Laser Genesis which will help me with my discoloration and large pores, but not the SH, unfortunately. Good luck! Hope everything turns out well. I had it done twice and they come back. It may be a good procedure for other skin conditions, but I don’t think it’s very effective on SH, unfortunately. Dave, there’s no cure for SH but the bumps that are treated with Skin Classic will not return in the same spot. SH is a condition that needs ongoing treatment and this is by far the most effective treatment there is. Hi Dave – I’m a trainer for the Skin Classic company and in all fairness I have never worked on a client who did not have positive results for their HP. I’m really sorry to hear you’ve had the procedure done twice with less than satisfactory outcome. Wondering, did you go to the same technician both times? I agree. I had it done on October 1 this year and I don’t think the technique of the technician I went to is good. After all the scab fell off, I am left with tons of very dark brown spots on my face and I don’t know how long they will fade away. It takes a while. It’s only been three weeks. Yes. I went to the same technician who was RNfaces recommended, who was great. However, they did come back so I am a little skeptical when I see the same one “never” comes back. Are there different intensities for the actual procedure? Most definitely there are different intensity levels. Stephanie is very particular about referring technicians as she wants the best treatment outcome. HP typically are done at a higher intensity level. The crusts/scabs are deeper and the full healing process an take 30 days upwards to 6 months. Everyone is different. I take about 45 days to heal. Once the crusts fall off the bumpy area generally looks slightly pocked and you should not see anything that resembles HP oil buildup. How did you care for your face in order to avoid scabs turning into scars? I just had over 70 plus SHs zapped last Saturday and my face looks horrible. Currently I wash my face daily using soap and lukewarm water and try not to remove scabs. The scabs are normal and shouldn’t turn into scars unless you pick at them. I didn’t do too much to my face, just washed it carefully with water once in a while. It takes about two weeks for the face to start looking better. Just be patient. It’s going to be better soon. For some reason, I can’t control and pick at the scabs while sleeping at night. In the morning, I have to apply Neosporin to them in the morning in order to avoid scarring. Do you know any treatment to get rid of the scars? Neosporin would help with infection, not scarring. It’s VERY IMPORTANT to leave the scabs alone. I suggest wearing a pair of cotton gloves at night. I don’t know of any treatment to get rid of scars other than things like dermabrasion which will create more scabs and you’ll be back to where you are right now! So please, let your body heal itself and in a week or so you’ll be looking so much better. Did you use any sunscreen to protect your face while healing? I have to fly next Wednesday and I look like I have chicken pox. This defies conventional wisdom but I don’t use sunscreen. So I didn’t use any sunscreen, nor did I wear makeup, when my face was healing but I also stayed in the house most of the time. I actually think a few minutes of sunlight on your face every day would be beneficial. Again, this is just my opinion. As long as your skin doesn’t burn easily, I think 10 minutes of sunlight on your face would be healing. Since you’re self-conscious about your spots (which I totally understand), you could also wear a big floppy hat that would protect your skin and hide some of your face. In four days’ time your face is bound to be looking better, as long as you’re not picking at the scabs. Don’t worry, it’s going to be fine. Good luck! Home care instructions include always wearing sun protection of art least SPF30 every day regardless of weather. I realize that. I was asked what I did while I was healing, but thank you for your input. Sorry Lynda, I should’ve been more specific. Was directing to the person asking about sunscreen. No problem. I wasn’t sure. Andy – I usually advise clients to use benedryl cream at night before bed to prevent night picking and scratching due to itch. Thank you both for your helpful input. Hi Cassie, I don’t have that information so you need to visit RNfaces.com and fill out their contact form. They usually respond quickly. Good luck! 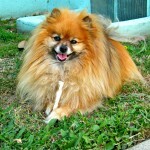 Hi Cassie – I accidentally replied indirectly so not sure if you got the info. Tampa Bay Skin Classic esthetician is Crystal Lucky 813.770.6753. Thanks to this website, I had the procedure done on Thursday. I woke up this morning with scabs. 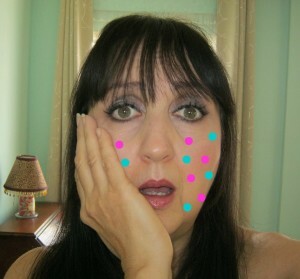 Looks like I am recovering from chicken pox (I had about 30 zapped off my face). I know it had been less then 48 hours technically. My estitican said I would be fine by Tuesday to go work (I took off Monday), but now I am not so sure. This would be about 4 1/2 days since treatment. I am excited to see results, but the “no recovery time” sales pitch isn’t quite there. Not sure how you would have this treatment at lunch and go back to work. Just hoping these scabs slough off before Tuesday. By 4 1/2 days later you should look a lot better depending on how large the spots are. You can put a little makeup on and that should help but people are still going to see scabs. There’s nothing you can do except wait for them to fall off on their own. If you remember I wrote that I did not want to leave my house for about 10 days afterwards. Fortunately I’m able to do that but if I had been working I would have scheduled it before a week long vacation. Hang in there. This is just temporary and in two weeks you’re going to be so happy with your face! Well…HPs definitely take the longest to heal and everyone has a different healing time. You will be extremely happy once you’ve healed but I usually tell clients they’re not gonna like me very much for the first week. Thanks. Maybe I will just work from home next week. I was reading that tea tree oil applied to scabs will accelerate the healing process so may try that. I guess I just didn’t realize how bad a I would look (Day 3 now). Wishful thinking perhaps, but I figured scabs slough off by day 3 or 4 and you’re left with no evidence of treatment. Thanks for your reply. It’s more like 6-9 days of crusty scabs then they look a little pocked for awhile. Usually by 45 days the skin turnover/renewal occurs and they become less noticeable. No downtime usually means pain that will effect your everyday life. I wouldn’t use tea tree if I were you as its a little too harsh for treated areas. Mederma works well, emu oil, Tamanu oil, vitamin e oil. If be more than happy to answer any questions you may have. I tried the skin classic two times already and it didn’t work. I pretty much lost all hope that no matter what I do it will always come back. Hi Nicole, I’m sorry to hear that you’re not happy. The Skin Classic is a treatment, not a cure because there is no cure for SH. It’s something that needs ongoing treatment. Some people get a lot of bumps and others only get a few. I don’t know if there’s anything else that can help minimize the development of SH. As I said in my article, I’ve tried different things and nothing else works, but if I find something new that’s effective, I’ll be sure to write about that too. Thank you for the reply! Do you think this skin problem is genetic? I was told it could be that or sun exposure but no one in my family has this and I’m rarely in the sun because I don’t like to be in it. This skin condition is just really stubborn. Unfortunately not much is known about the condition, but some people think it’s caused by abnormally enlarged oil glands that tend to run in families. I’m the only one in my family who has it. I personally don’t think it has anything to do with sun exposure or genetics. I always look to see if problems can be resolved with nutrition, but so far have not come up with an answer. Still looking though because, like you, I have to contend with these annoying bumps for the rest of my life. I will definitely share if I come up with anything that might be helpful. Hope you have a great day! They responded to me very quickly, within a day I believe. Maybe things are backed up from the holiday. Here’s another email address you can try: stephanie@rnfaces.com. Hope that helps. I think they responded quickly, within a day. Things might be backed up due to the holiday. Here’s another email address you can try: stephanie@rnfaces.com. Hope that helps. Hi – In response to John, I am a Skin Classic trainer in the state of Washington. I saw your post stating you hadn’t gotten a reply back and sent Stephanie a quick text in case something had crossed wires somewhere. She should be contacting you soon. Hello! I am Robyn, an Esthetician with a very similar machine – it does all the same things as the Skin Classic, but mine is called a Thermolo. The main difference with my machine is I can work on darker skin tones without risk of damage. I work in the Fayetteville NC area if anyone wants to have a treatment or consult! Go to RealResultsSkinCareFayetteville/services on Facebook to book or just ask me questions. To Lynda – if this type of post is not allowed I apologize and please delete ~ thanks! Hi Robyn, I just removed the clickable link but the info is there so people can still find you on Facebook. My SH was way worse than yours. I contacted Stephanie in 2014 after seeing same video. Prior to that I spent $$$ on series of chemical peels, lasers, etc. and nothing helped. Because I had so many, I went to the esthetician Stephanie recommended several times. She did an amazing job, so patient, and let me tell you my face looks so much better. There are still some left, and I’ve been using RN products which have helped minimize their growth. I’m so grateful I found Skin Classics. Wow, that’s great! So glad your skin is doing better, April. Looking for an a Classic practitioner on the San Francisco Bay Area. Thanks! 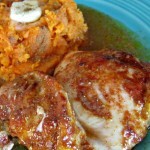 Hi Ruth, you will get the info you need by visiting RNFaces.com and filling out the contact form. That’s how I found my practitioner. Good luck! Thank you so much for sharing your story. I have been dealing with these suckers for a while now and have an appt at my derm on june 2 and will decide then on what kind of treatment to do. I tried cutera laser once and that did nothing. SO glad to know there is something that will work. Are you still happy with how things look? Have you had others pop up? Yes, I’m still extremely happy with the outcome of the treatment. It really felt like a miracle after searching so long for a solution. I still have a few spots that were missed the first go round and plan on getting another treatment one of these days. Since there is no cure for SH, I expect that more spots will develop over time. Not sure I’ve seen any new ones yet. 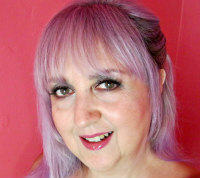 Thanks for recommending Skin Classic & documenting your treatments. 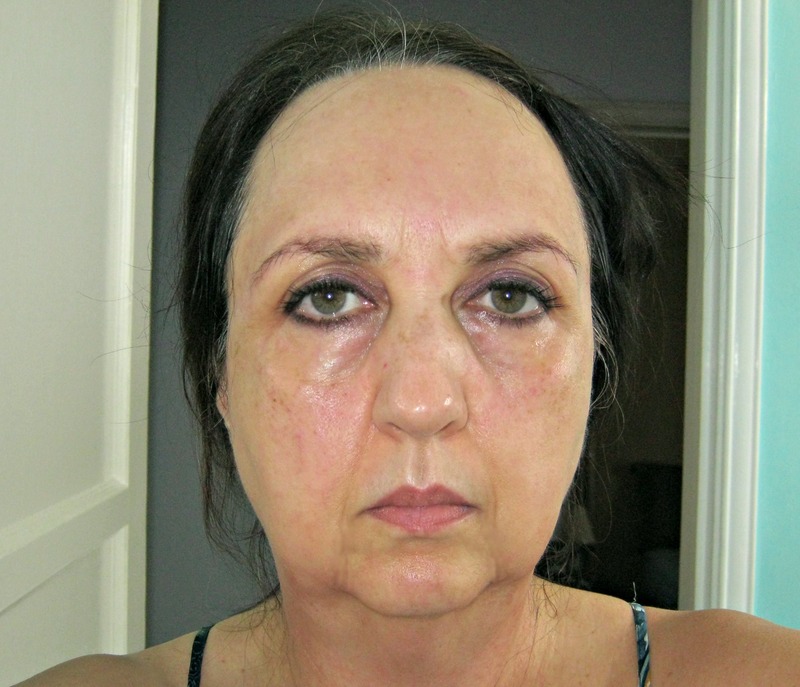 Last November I had about 15 zaps on my face – all SH are gone! This treatment has been miraculous, but for one stubborn and discolored indentation on the tip of my nose … of all places, so it is rather conspicuous. Will the indentation and slight discoloration resolve given more time? My technician advised me to apply some Vit E oil to promote healing, but so far that’s not working. You mentioned that you had an indentation too that lingered for a few months; did you apply anything special to that scar that helped it heal eventually? Appreciate your help and thanks again. Hi Juliet, I’m glad that you’re happy with your Skin Classic treatment, except for the lingering indentation on your nose. I had one in the middle of my eyebrows which slowly filled in over a period of months. Nobody told me to put anything on it so I didn’t. After all this time I don’t think Vitamin E is going to do anything for it. The problem with being on the tip of the nose is that there’s not much flesh there, mostly cartilege. I think you might have to consult with a dermatologist and ask about dermabrasion. I also suggest contacting Stephanie Holvick at rnfaces.com to ask her advice. Thanks for your help, Lynda. I’ll follow up as you suggest. My “white heads” turned to scabs on the 3rd day. I then started using sunblock and makeup so I could get back to work and leave the house. I still didn’t look great for about a week but I was patient and just took good care of my face. By my second week I felt much more confident in public. It’s now been 4 weeks and I am so amazed at the results. I love my new face! It was so worth the “icky” week! Lisa, I’m so glad you’re happy with the outcome! Thank you for relating your experience. I’m very seriously considering getting this done on my SHs and have been referred to a clinic in my area through the website. Question: are you able to wear foundation or concealer to help hide the spots while your skin is healing? TIA. I didn’t wear anything like that for a few days because I felt that would just make it look worse. I also didn’t want to disturb the scabs as they were healing. Good luck with your procedure! I just had this treatment 2 days ago for about 40 spots. My question is, my spots immediately and still look like large white heads that need to pop. They in no way look like scabs. I am actually surprised none of them have just popped on their own as they look like they could. I have resisted popping them and have just been patiently waiting for them to change. Was this how it was for you too? I am beginning to wonder if my estitician was supposed to pop them before I left her office so that they could start to scab over. Or am I just being too impatient. I seriously look like I have a face covered in whiteheads! What should I do. Well definitely don’t pop them. My face actually looked worse in person than the way it looks in the pictures. I didn’t even want to leave the house. I think I did have some spots like you are describing. Call the esthetician tomorrow and ask her about it. Hang in there. It will get better in about 10 days. I know it seems like a long time but it’s about the same amount of time as recovering from liquid nitrogen. 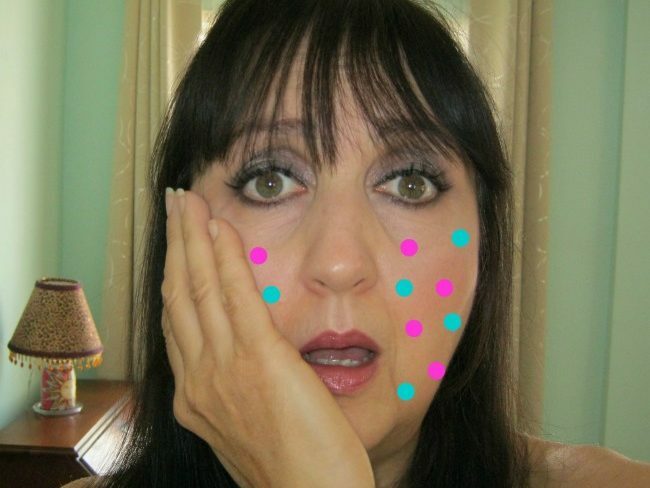 What makes it worse is having so many spots all at once! Yes I am pleased and will do it again in the future. You’re going to be so happy afterwards! 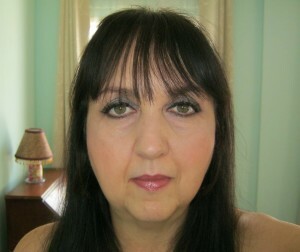 Hi Lisa – I am a master esthetician and a Skin Classic trainer in WA. There is no physical way to “pop” SH. Hopefully your spots look much better now. I usually tell my clients they’re going to look rough for the first week and then the magic starts. Thanks Lynda for such an awesome testimony to what the Skin Classic can do. It is, hands down, the best investment I have made to my business! I live near Boca Raton, in Florida, is there any clinic where they offer this kind of treatment? Want to assure those asking for Skin Classic referrals, as one of a handful of Skin Classic trainers I monitor requests and contact Stephanie at RN Faces for referral in closest city before posting the contact info. She’s pretty busy most of the time so I try to expedite the process when I see requests. PA.and wish there was another treatment place I could go to. There could very well be a treatment place near you. Just fill out the contact form at RNFaces.com. I too live just outside of Pittsburgh and I’ve been searching everywhere to get rid of mine. I only have one bump but the dermatologist diagnosed it and said since it was benign to not mess with it. I have prom in a couple months and I’m ready to get this thing off my cheek. If you end up finding a place, please comment below 🙂 thanks! Lydia, all you need to do is go to RNfaces.com and fill out their contact form. They have all the information about providers in the US since they are the ones supplying the machines. The small spots were healed in about 10 days. It took about 5 to 6 weeks for the larger spots to heal. I started using makeup after about two weeks. I didn’t go to the beach or spend much time in the sun, but I think it would be okay as long as you don’t get sunburned on your face. Hi wil alvelo did u do you treatment? I live close to you. So im curious .thanks this infor here is great! I just made my first appointment. I saw the video on Stephanie’s website and figured this is what I needed. Years ago, a dermatologist used dry ice and it worked. Now my doctor prescribes ointments that do not work and I told him so. His practice involves medical problems rather than cosmetology issues which I see him for, too. He says the latter is too time consuming. I will up date with results. Of course it’s time consuming to treat one spot at a time with dry ice, but then they can charge you $100 per visit and have you keep coming back. Good luck with your upcoming treatment. I’m sure you’ll be happy with the results. Been suffering long time with these bumps. I be treated? Eager for an answer.Thanx. Please visit RNfaces.com and fill out their contact form. They’ll let you know of a provider in your area. Good luck! omg….that is great. Cant believe you put that much time into your experience. I truly thank you from the bottom of my heart. I get inquieries every day. If I may use this link it would be fabulous. You are awesome. Together we both can help those with sebaceous hyperplasia! Yes please do share this link. I was so thrilled to find something that actually works after so many years of suffering that I had to spread the word! Hi Stephanie! It’s Grace Power. Thanks for sharing this story in your e-newsletter. What a great machine! I remember one patient crying after her appointment because I had removed two skin tags off that were near her eyes. She had them for years and her wedding was coming up. She was so thankful and happy that she no longer had those little skin tags. That machine changes people’s lives! Thanks for training me on it all those years ago. I forwarded your email to the new owner at Acomoclitic so maybe she will share this story. Thank you for sharing your experience. I have around 100 SH’s. Did you try electrocautery? If so did it fail? My dermatologist recommended that I go that route. Your results look great! 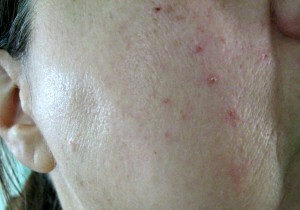 The dermatologist recommended against electrocautery. The treatments that were offered were ineffective and expensive and required multiple trips to the dermatologist. I hope you’ll try Skin Classic as it’s the only thing that really works.